TONIGHT! 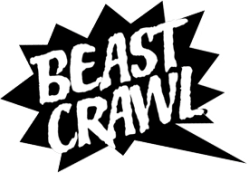 Uptown Oakland’s Beast Crawl will hold its fourth annual free literary festival featuring more than a hundred writers in a single night, spread out over three hours and numerous local galleries, bars, restaurants, cafés, and storefronts. You can find me alongside the talents of Jamie DeWolf, Jane Harrison, Prisoners of Love, Frak, Kate Willett, Joyce Lee, Rachel Lark and more at the Starline Social Club in the 8 o’clock leg. http://beastcrawl.weebly.com/tourettes-without-regrets.html and it’s free! Be sure to check the schedule to which of your favorite bay area writers are performing in the first two legs of the Beast Crawl! I just received word that I will (for the first time ever) be a reader at Lit Crawl in San Francisco so look for me as part of Tomas Moniz’s Not Your Bro on Saturday October 17th stay tuned for details. As Always stay updated and be entertained online at youtube.com/teamwonderdave, facebook.com/teamwonderdave (which is still up but I can’t access but feel free to like it under the assumption that one day I will be able to return to FB), @teamwonderdave on twitter, wonderdave.tumblr.com and subscribe to this blog on wonderdave.wordpress.com! Have a great day. This entry was posted in entertainment, shows and tagged beast crawl, facebook, jamie Dewolf, library of congress, lit crawl, poetry, Spoken word, Wonder Dave. Bookmark the permalink.